Cigar-shaped UFO above Santa Rosa,California. 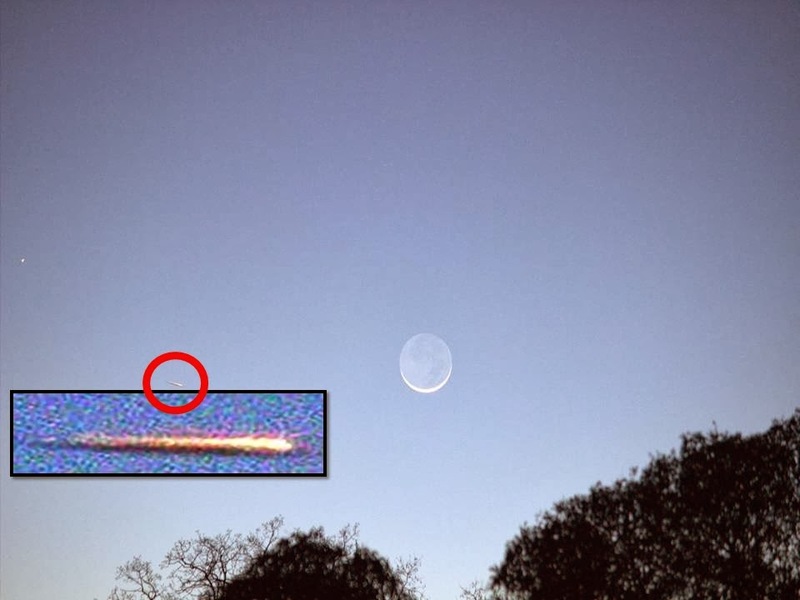 The photographer contacted Mufon: "Help me out! I am uploading a picture I found on my camera. I didn't see or hear anything until I downloaded my photos from the moon shots I took tonight 1-31-14". Da-da and his oldest son saw this exact same object in the exact same flight path -- but going in the opposite direction -- in 2008. He reported it to MUFON and they sent out an investigator.